While we can’t do your laundry for you, we can help make laundry day easier. At Boston Closet Company, we create custom laundry rooms. We all want our carefully-chosen clothes to last longer. You know the drill: sort by colors, put in detergent, pick your setting and press the button. However, you may be following the old school rules. Continue reading for our new school tips to keep your clothes looking so fresh and so clean. You may think that using more than the recommended amount of detergent is the best way to get those smelly gym clothes clean, but, that isn’t the case. 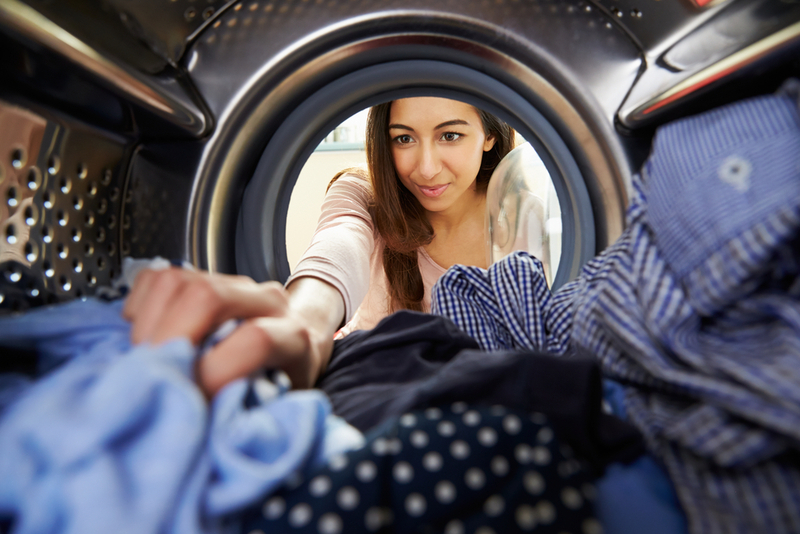 Excess detergent can leave a film on clothes and cause soap to build up in the washing machine. This can lead to mold or even mechanical damage to your machine. Color can fade from rubbing against other fabrics and colors. In order to preserve color for as long as possible, turn clothes inside out and wash on a delicate cycle. Use cold water to minimize color loss. Be sure to keep these pieces out of the dryer for best results! Before you put any clothing in the washer, make sure to zip all zippers. The teeth of the zipper can catch on other fabrics and cause tears. Unbutton shirts before you wash in order to prevent stretching buttonholes and to help keep buttons attached. Ditch those laundry sheets and opt for dryer balls, which prevent static and are more environmentally friendly. The sheets were meant for older style fabrics – not the synthetic materials used to manufacture clothes today. It is crucial to treat stains as quickly as possible in order to avoid the stain setting. Immediately after the stain occurs, blot to remove liquid. Resist the urge to rub the stain. Dab, starting at the outer edge. Apply non-chlorine bleach to fruit or wine stains. White vinegar works for grass or coffee stains. If you put the garment in the washer without any pre-treatment, it is more likely that the stain won’t come out. Be sure to air-dry pre-treated stained items, that way you can see if the stain has been removed. Avoid putting any piece of clothing into the dryer before a stain has been fully removed. The heat from the dryer will set stains, making it almost impossible to get them out later. A custom laundry room organizer design from the Boston Closet Company can help keep all your clothes and cleaning products accessible and organized. We can help provide sleek and modern elements to go along with your new laundry routine. Contact us today to schedule your free consultation!